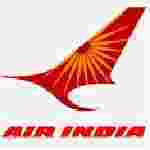 Air India Aircraft Technician recruitment 2016-17 notification apply for 961 posts : Air India engineering services limited (AIESL) welcomes application for the position of 961 Air craft Technician vacancies. Candidates who completed their Diploma is a good opportunity.The individuals who are the occupation seekers searching for govt employments in New Delhi this is the best chance to apply. Competitors read the official notification then read all the guidelines and miners precisely then apply before the last date online application got. All the interested and eligible candidates can apply online before 30th August 2016. Candidates Age Limit: The age of the candidate should not be less than 28 years as on 1st July 2016. Academic Qualification Details: Candidates should have AME diploma / certificate in aircraft maintenance engineering from institute approved by DGCA under rule 1338 with 60% marks / equivalent grade (55% marks / equivalent grade for schedule caste categories candidates / schedule tribe categories candidates / other backward class categories candidates) or successful completion of 4 year course / diploma in aircraft / electrical / instrument / radio artificer training conducted by Indian navy which are acceptable by DGCA. Details of Fee particulars: All the interested and eligible candidates are need to pay application fee Rs 1000/- through online state bank of India Challan. Schedule caste categories candidates / schedule tribe categories candidates / Ex-servicemen categories candidates from the payment of application fee. Process of applying for the job: Candidates may apply online through official website of Air India from 20th August 2016 to 30th September 2016 and print – out of online application along with all the relevant documents and bank Challan send to post box no 12000, cossipure post office, Kolkata:- 700002 on or before 31st October 2016. Important Dates: Starting date for the position of application is 20th August 2016. Last date for the position of application is 30th September 2016. Last date for the receipt of application 31st October 2016.